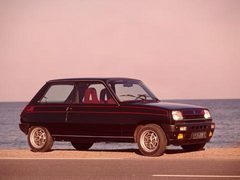 The Renault 5 Turbo followed in a long and brilliant series of 'pocket rockets' from the manufacturer in Billancourt. A tradition which started shortly after the war, with the 4 CV 1063, the torch was taken up again by the Dauphine 1093 before the R8 Gordini became legendary following much competition success. Immense commercial success followed with the best-selling R5. After the exit of the R5 Alpine, an ambitious project was born. Jean Terramorsi (sub-director for small car product direction) had a passion for sporting cars. 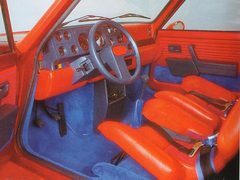 In 1976 he imagined, with the help of his assistant Henry Lherm, a muscular development of the Renault 5 equipped with a turbocharger. Jean Terramorsi succeeded in convincing Bernard Hanon, chairman of Renault, to be interested in this venture. The Regie saw in this car a chance to enhance the image of the marque and the chance to develop its turbo technology. 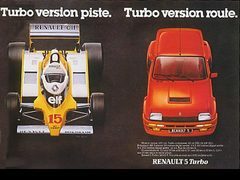 The 5 Turbo would also make it possible for Renault to return to competition and rallying. 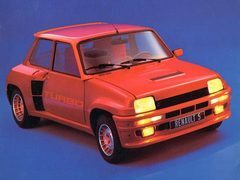 The brief for the project, baptized 822, was precise: The Renault 5 Turbo should be "a powerful vehicle, nimble, equipped with a very good handling, able to take part in competition with a limited number of modifications". 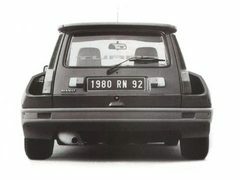 Another requirement: the silhouette of the car must be as close as possible to Renault 5. 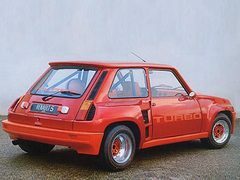 Following the departure of Jean Terramorsi, the project was taken over by Gerard Larousse, then the director of Renault Sport, and by engineer Michel Tétu, who was the technical father of Renault 5 Turbo. Bernard Dudot, who was later the designer of the world championship winning F1 V10, also collaborated in the car. 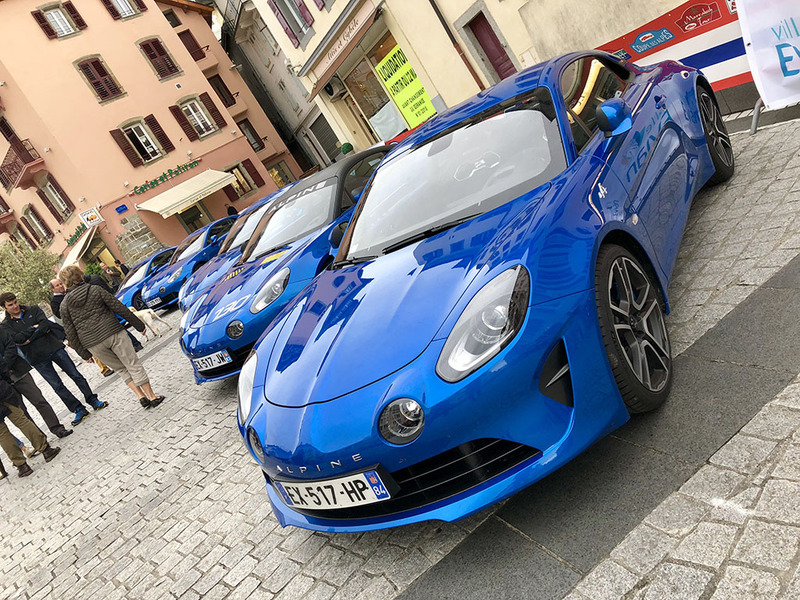 A small team started work in the workshops of Alpine, in Dieppe. 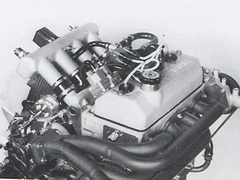 The turbo engine was installed in the rear central position and a first model was made by Bertone, where Marc Deschamps produced the first drawing. A second model was produced by Heuliez. 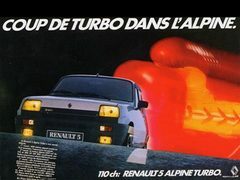 For reasons of economy, the choice of engine was the 1,4 Cléon liter which already equiped the R 5 Alpine. The small engine kept the total weight under a ton. Developing in its original state 93 CH, this small cast iron block, thanks to the help of the turbocharger (provided by American manufacturer Garrett), produced 160 CH. Such a jump of power required many reinforcements: cylinder head gasket, valves with brass guides, crankshaft, uprated oil pump, etc. After initial consideration, the idea of a tubular frame was abandoned for reasons of cost. 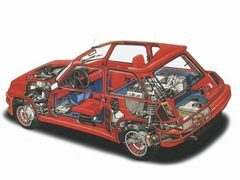 Preserved but strongly modified, the shell of R5 received many reinforcements required in particular by the engine installation in the rear central position. In order to keep the weight down the wings and the bonnet were made out of polyester, while the doors, the roof and the tailgate were made out of aluminium. The maximum number of parts possible was drawn from the Renault parts pin. The gear box came from R16 TX, the four ventilated brake discs from the R17 and A310 V6. As for the suspension, essential for the handling of the racing car, they were borrowed from Alpine A 310 group 4. March 9, 1978, in middle of the night, a group of collaborators attended a circuit close to Dieppe for the tests of the first prototype. The car handled well with good balance. 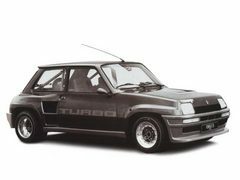 The Renault 5 Turbo was born. It covered the standing kilometre in 28 seconds and its exit speed exceeded 200 km/h. The public saw the car for the first time at the Paris show of 1978, where the brutal looking car with its inflated wings made a strong impression.